Presenting my newest Jewish fantasy novel! When Ezra tries to blackmail Chef Yael about her being trans, she throws him out of her restaurant and immediately reports him to the queen. When police find Ezra stabbed to death, Queen Shulamit realizes he may have also tried to extort someone more dangerous than a feisty old lady. The royal investigation leads straight to an international terrorist plot to destroy her country’s economy—and worse, her first love, Crown Princess Carolina of Imbrio, may be involved. Since she’s got a dragon-shifting wizard at her disposal, contacts with friendly foreign witches, and the support of her partner Aviva, Shulamit has hope. What she doesn’t have is time. 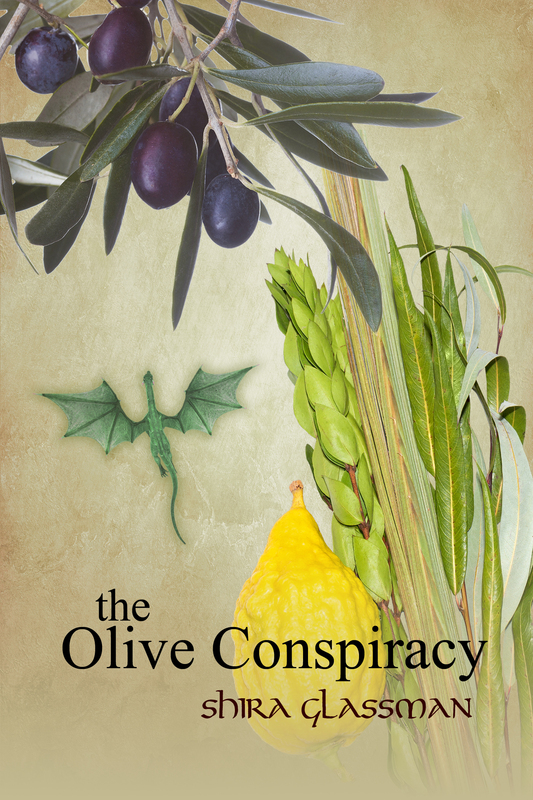 The Olive Conspiracy is now out electronically and will be out fall 2016 in paperback. eBook purchases directly from the publisher, and paperbacks from anywhere, will include a free copy of Tales from Perach, five bonus short stories. This entry was posted in Mangoverse and tagged bisexual, books, fairy tales, fantasy, fantasy books, jewish, jewish books, lesbian, lesbian fairy tales, lesbian fantasy, lesbian stories with happy endings, lgbt, mangoverse, queer, queer stories with happy endings, the olive conspiracy, trans, trans women. Bookmark the permalink.